This Sunday we continue our series “The Apostle’s Tale” that parallels the Apostle Paul’s letter to the church of Rome alongside Margaret Atwood’s novel, The Handmaid’s Tale – a disturbingly dystopian vision of religion and power gone toxic in America. 12So then, brothers and sisters, we have an obligation, but it isn’t an obligation to ourselves to live our lives on the basis of selfishness. 13If you live on the basis of selfishness, you are going to die. But if by the Spirit you put to death the actions of the body, you will live. 14All who are led by God’s Spirit are God’s sons and daughters. 15You didn’t receive a spirit of slavery to lead you back again into fear, but you received a Spirit that shows you are adopted as his children. 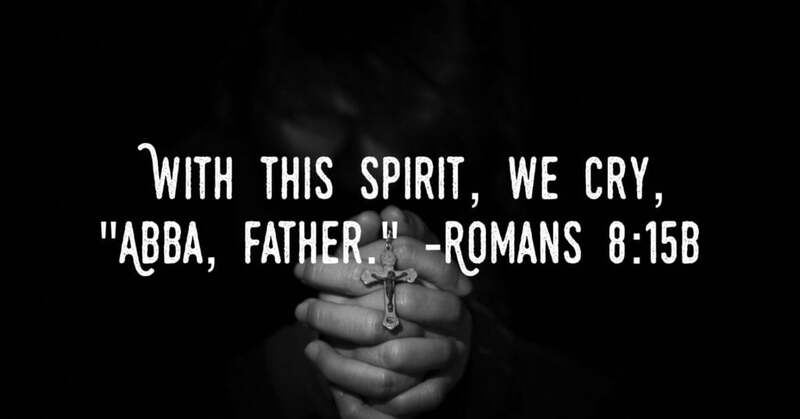 With this Spirit, we cry, “Abba, Father.” 16The same Spirit agrees with our spirit, that we are God’s children. 17But if we are children, we are also heirs. We are God’s heirs and fellow heirs with Christ, if we really suffer with him so that we can also be glorified with him. In typical Pauline style, the Apostle begins by explaining what we have an obligation to avoid: selfishness. Given what we know about the nature of human beings and the fact that Paul wrote this letter about 2000 years ago, we can safely assume that human beings have historically struggled to place the interests of others equal to their own. And yet I wonder how much more difficult it is for human beings today to avoid being selfish, given that we live in a selfie, Facebook, and Instagram culture that encourages a type of self-centeredness. 24We were saved in hope. If we see what we hope for, that isn’t hope. Who hopes for what they already see? 25But if we hope for what we don’t see, we wait for it with patience. So even in the midst of our suffering, in the midst of our groaning, we must not lose sight of the hope we find in Christ. Hope like this can only be mature and virtuous (or perfected as Wesley would say) when we first suffer and groan alongside Jesus. We would do well to examine the Gospel stories to discover why Jesus suffered, why he was oppressed; and we should move beyond the first and simple answer to this question, that Jesus suffered for the sins of the world. Just like our own lives, there are always more than one reason why things happen, so what are the other reasons Jesus suffered? In the Christian tradition, we believe that there are three theological virtues, Faith, Hope, and Love; these virtues are pulled from chapter 13 of Paul’s first letter to the Corinthian church. We believe that these virtues are theological because they are gifts from God. This passage ends by moving our attention from suffering to hope. How would you define Christian Hope? How is your definition of hope different from your definition of Christian Faith?